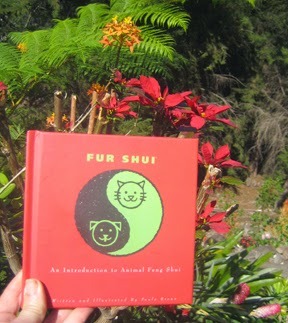 Fur Shui loves Maui! The red poinsettia's at the Kula Lodge is the perfect reflection of both book and location "fame". Kula Lodge is a favorite spot to re-charge, meet, view the beautiful valleys below the mountainside in its outside cliff-side dining. Famous for its "fire" oven pizza and special meals...all along the banks of Maui's volcano hillside. Get some fire going for your own brand of fame...add some red!